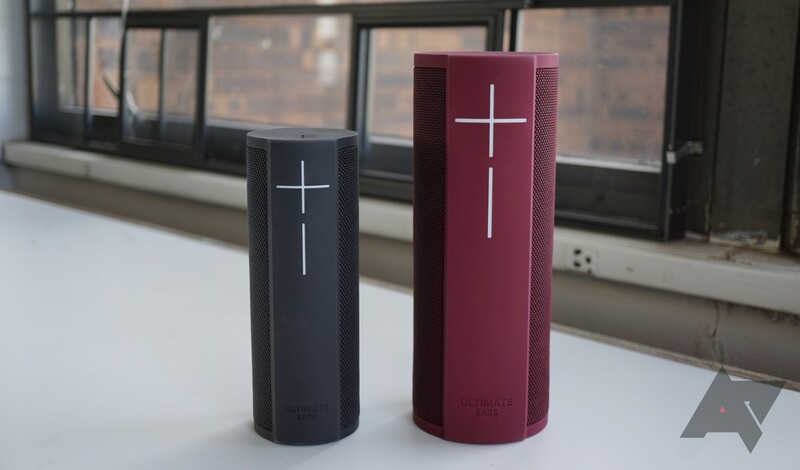 Those in the market for a Bluetooth speaker in the $100-200 range will surely have heard of Ultimate Ears for the company's popular BOOM 2 and MEGABOOM speakers. But if you're looking for a newer, more premium alternative, Logitech/Ultimate Ears has come out with the BLAST and MEGABLAST - not replacements for the BOOM series, but upmarket stablemates. The main talking points of these two new speakers concern Alexa integration and superior sound. The $229.99 BLAST and $299.99 MEGABLAST sound very good, and they can get seriously loud when cranked all the way up. The charging dock is a nice touch, but it costs an extra $40. Ultimately, though, it's up to you if you'll want to drop this much dough on a Bluetooth speaker. Design They have their quirks, but the 360-degree build is nice overall. And they come in a bunch of colors. Sound They sound great and get loud - really, absurdly loud. Water resistance IP67 certification is on board, meaning that you can practically bring these anywhere. Alexa She's present, if that's something you care about. Not too well-integrated, though. Charging The $40 dock makes refueling a lot easier than before. Charging (again) The hole for the microUSB slot is a bit small, and the dock costs an additional $40. 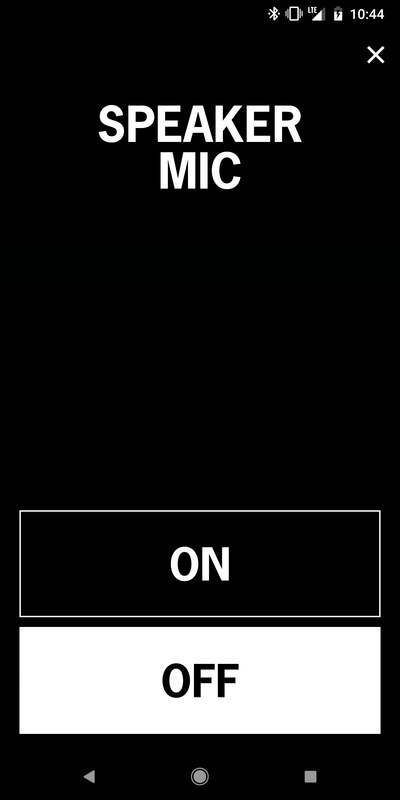 Controls You'll have to play, pause, and skip songs from your phone. Missing features Why are Block Party and Double Up not here? Plus, the app isn't very helpful. Price $229.99 and $299.99 is a lot of money for Bluetooth speakers. The BOOM line is famous for its cylindrical shape, which allows sound to be dispersed in all directions. The BLAST and MEGABLAST basically have the same design as the BOOMs, albeit slightly blockier. They still have a durable silicone layer everywhere sound isn't coming out of, the oversized volume buttons still form a crucifix shape, and the large power button/LED on the top looks even moreso like you're supposed to insert coins into it. The BLAST and MEGABLAST are each slightly larger than the BOOM 2 and MEGABOOM, respectively. The only legitimate design change you'll notice in regular use between the BLASTs and the BOOMs is the relocation of the branding from a tab on the top that said 'UE' to an engraving closer to the bottom that says 'Ultimate Ears.' The silicone does show some wear with use, but that's not unexpected. 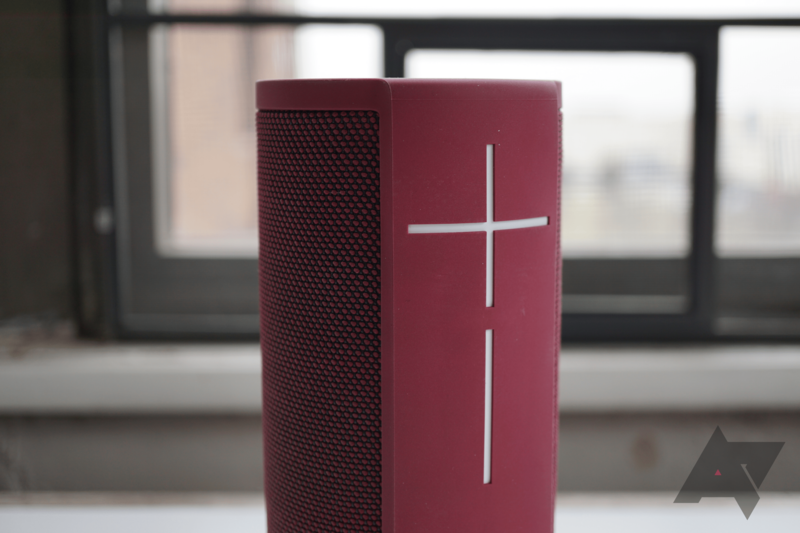 Despite their similar exteriors, the BLAST speakers actually lose functionality when compared to the BOOM 2 and MEGABOOM, which received gesture controls by way of an update. These controls would allow users to tap the top to play/pause music and tap twice to skip to the next track when the speaker was lifted up. For some reason, this isn't present on these more expensive offerings, which is unacceptable. Even a $15 speaker I bought off Amazon years ago has buttons for these actions. I understand wanting to make the design as minimal as possible, but UE was able to add the functionality in an update on its older speakers. There's no reason the BLASTs shouldn't have been delivered with firmware that supports this. Since these are rated for IP67 water resistance, the microUSB charging port must be sealed off. 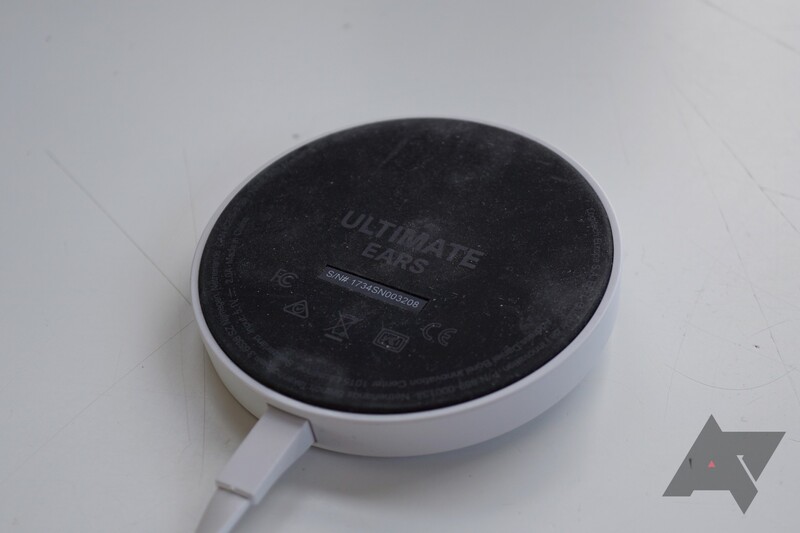 Ultimate Ears accomplishes this with a circular silicone insert on the bottom that has a screw-in mount that you can use to hang the speaker from. The usefulness of said mount is somewhat questionable since I doubt many people are hanging these heavy speakers off their backpacks, but it's there if you need it. To access the charging port, you need to basically fold the silicone insert in half (which it's designed to do). I'll get into more detail in a later section. As for the water resistance itself, it works fine. I've submerged them, and these things get so loud that the sound is still completely audible even when completely underwater, if a bit muffled. It takes some time for the speaker to dry afterwards, but it's at least neat to see the water being sprayed out while it's still blasting tunes. Overall, these are good-looking and well-built speakers. The Merlot color I received for the MEGABLAST wouldn't be my first choice, but other colors include Graphite (my BLAST's color), Blue Steel, and Blizzard (white). Artem also received a Merlot MEGABLAST, as well as a Blue Steel BLAST. This is obviously an important consideration for what is first and foremost a speaker, and the BLAST and MEGABLAST do well in this regard, with the MEGABLAST in particular sounding absolutely fantastic. In relation to the MEGABLAST, the BLAST sounds slightly hollower and the bass is weaker. The sound is very clear and well-balanced for the most part on both, though I can't help but wish there were a little more bass. Even my smaller and much older Bose SoundLink Mini II shakes tables more easily. That being said, it's difficult to add too much bass to a speaker intended to get this loud, and the MEGABLAST in particular does thump. The 360-degree projection is sure to be convenient if you're at a party or outside, and unlike with some other Bluetooth devices, the volume control syncs perfectly with Android devices. Audio/video sync is spot-on as well; there's no detectable delay whatsoever. Volume is where the BLASTs really shine. 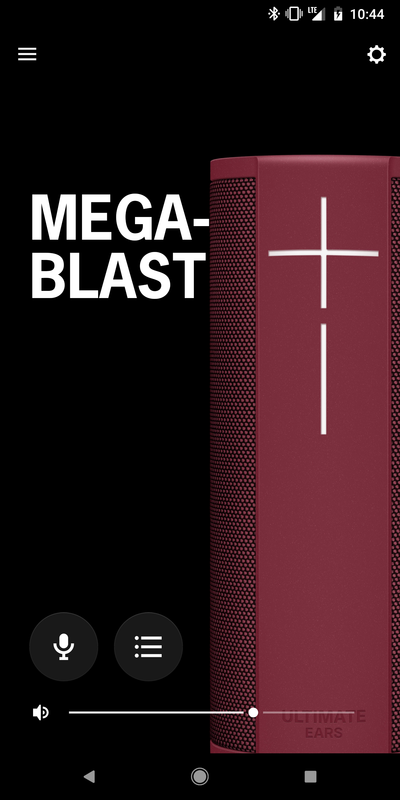 UE boasts that the MEGABLAST is 40% louder than the MEGABOOM, and while I can't verify that exact percentage, it is louder and fuller-sounding than the MEGABOOM. While trying to see how loud the speaker would go (and trying not to annoy the people on my floor too much), I legitimately scared myself when I accidentally cranked it from around 30% to 100% via my phone. Unless you're in a very large room or outdoors, you will absolutely never need to turn the volume all the way up, but it's definitely nice to know that the option is there. For me personally, even 50% is too loud for a single room. The smaller BLAST is no slouch in this regard either. Artem's been testing the MEGABLAST out as well, and he brought one with him on a vacation to Mexico. According to him, everyone who heard the speaker commented on how incredible the speaker quality is. It was loud enough to cover an open space with 100 people in it, and it even kept a party going after the Mexican mariachi band that had been playing left. Consider that a glowing review. 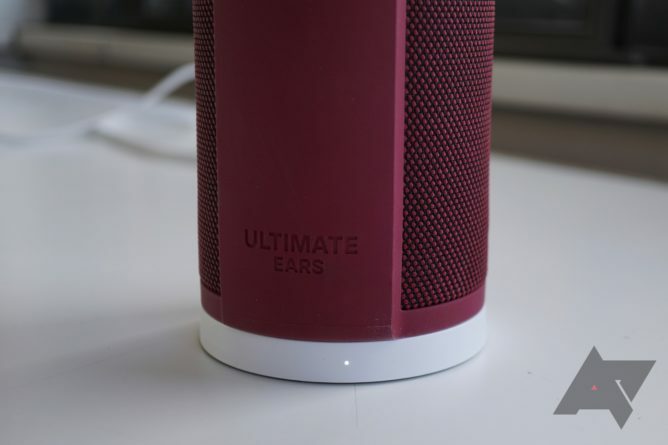 Alexa is something that Ultimate Ears is using to differentiate the BLASTs from the BOOMs. You can ask her questions and request music to be played through Amazon Music (obviously), Pandora, TuneIn, iHeartRadio, SiriusXM, and soon Deezer. 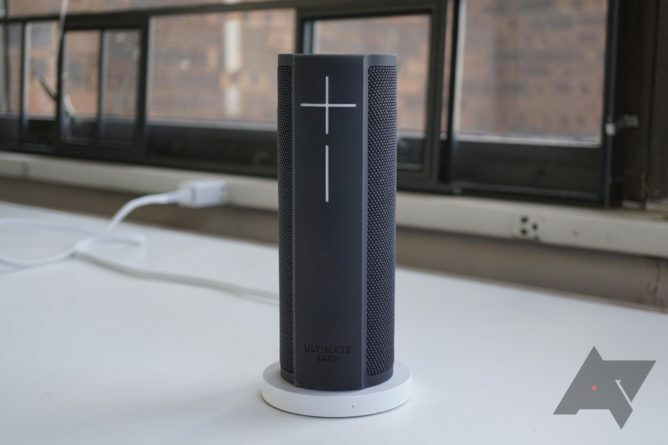 What you should know, however, is that the BOOM 2 and MEGABOOM already received Alexa functionality through an update. So unless you really need the always-on Alexa voice command (which, admittedly, you might if you're using this as an Echo replacement), it isn't a huge deal. 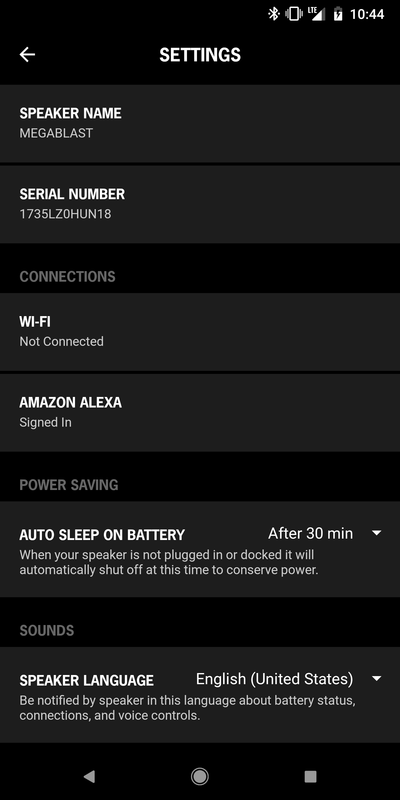 By default, the speakers turn off after 15 minutes of no activity to conserve battery, which means that you might find yourself saying "Alexa" for a while before realizing that your BLAST isn't even on. You can extend that 15 minutes, but that means that battery life will suffer. That being said, if you're using your BLAST or MEGABLAST as an Echo replacement and will have it plugged into the charging dock at home, that won't be a big issue. It also can't recognize the command while music is playing, and on the few occasions that I activated it while the speaker wasn't connected to Wi-Fi, music would refuse to play properly afterwards until I restarted it. 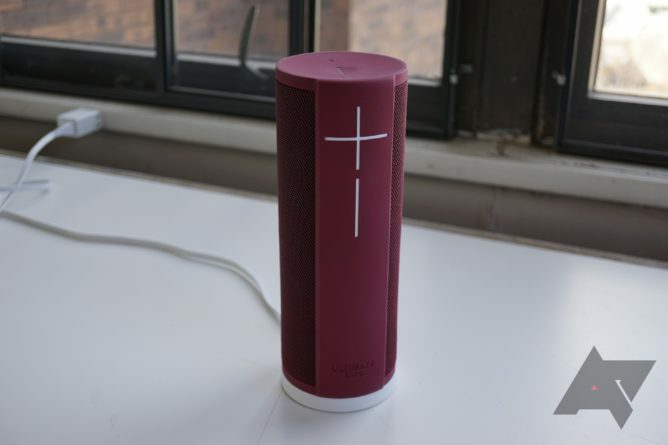 The BOOM 2 and MEGABOOM were praised for having some cool features, such as the aforementioned gesture control for playback, that simply aren't on the BLAST speakers. Block Party, which allows up to three devices to connect to your speaker at once and take turns playing music, and Double Up, which allows two compatible UE speakers to be paired for stereo sound, are both mysteriously absent. These are features that I was looking forward to using after hearing about them on the BOOM line, and I was genuinely surprised that they aren't here. I would maybe understand why they aren't here if these were lower-end speakers, but the older BOOM 2 with all these features can easily be had for $100 new whereas the $300 MEGABLAST doesn't have them. While I was initially completely dumbfounded as to why these features aren't present, normal use revealed that they aren't truly used all that often. Ultimate Ears PR was unable to give us a timeline on if/when these features would arrive. The companion app is... okay. It initially didn't even show an accurate battery charge reading, but that's been added in an update, as has a volume slider, which isn't really necessary. 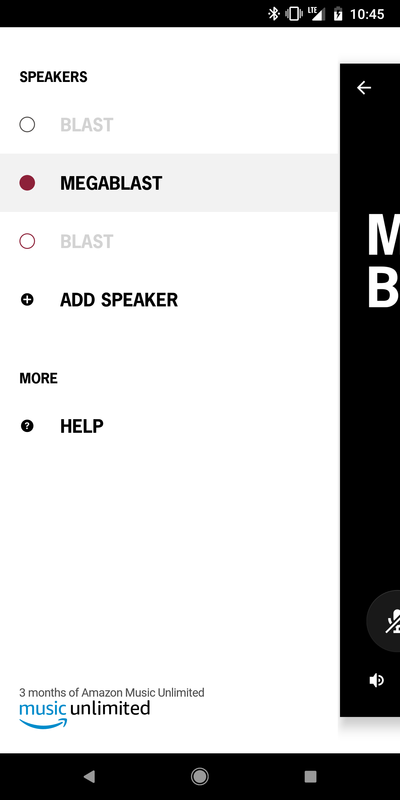 The app does give you three free months of Amazon Music Unlimited when you connect a BLAST speaker, which is nice. 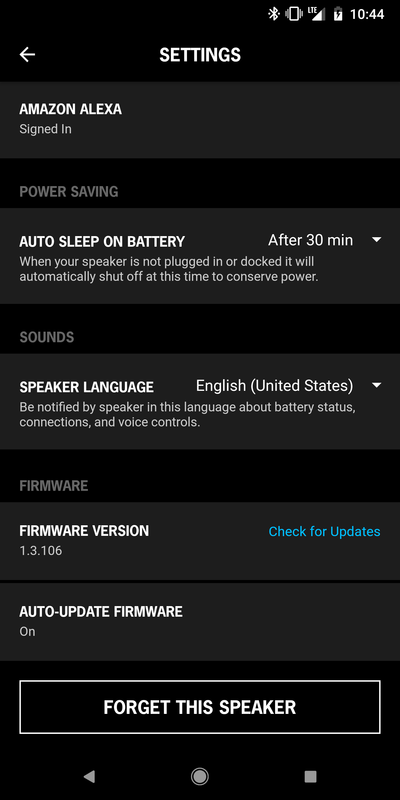 It also allows you to tweak the auto-sleep time, change the speaker language (the options other than US English are UK English and German), and update the firmware (the speaker itself does need to be connected to Wi-Fi for this). However, it doesn't have an EQ as previous UE speaker companion apps did. Charging can either be done through microUSB, or through the POWER UP pogo pin dock if you're willing to pony up an additional $40 for it. The opening for the microUSB port is a bit snug since there's a flap necessary for water resistance, but it should fit most microUSB cables. 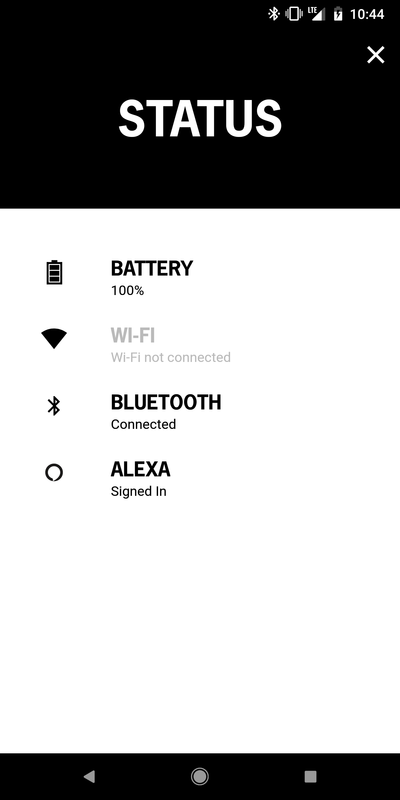 But if you want the optimal charging/docking setup, especially if you're planning on using Alexa at home, you should probably pick the dock up. If I'm being completely honest, it's somewhat difficult to test the battery life on either speaker with the convenience that the POWER UP dock has afforded me. Ultimate Ears rates the BLAST at 12 hours and the MEGABLAST at 16 hours, though this is highly variable depending on volume, the timeout period you have set, how long the speaker just sits there on standby, whether or not you're using Alexa, etc. For what it's worth, the BOOM 2 and MEGABOOM were rated at 15 and 20 hours, respectively, so it definitely seems like Alexa integration has taken a toll in general. The POWER UP packaging comes with the dock itself, a microUSB charger, as well as a chrome screw-in piece on the bottom that adds a pogo point. (No, it won't work with your BOOM 2 or MEGABOOM; I tried.) 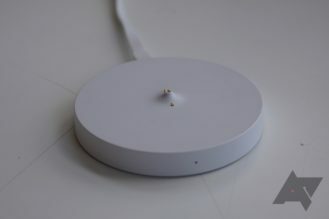 The dock has a little white LED on the side that pulsates while the speaker is charging and stays white when the speaker is fully charged. I found it easy to use, largely thanks to the mild slope around the pogo pin that allows the speaker to essentially slide into place. The BLAST leaves some space on the base, whereas the larger MEGABLAST fills it up completely. All things considered, the POWER UP dock is expensive for what it is, but it's definitely a nice thing to have if you own one of these. 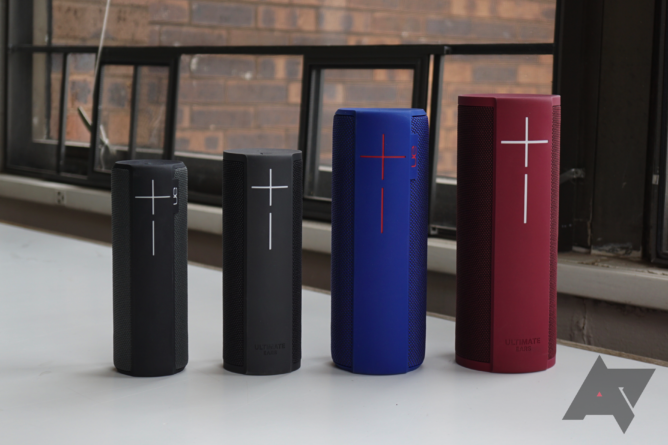 The Ultimate Ears BLAST and MEGABLAST are very good Bluetooth speakers. They get incredibly loud, emit great sound, and the water resistance is a huge plus, but you have to pay to play. At $229.99 and $299.99 for the BLAST and MEGABLAST respectively, these are some of the most expensive offerings on the market. And in spite of that price point, UE has somehow neglected to include features that the older and much cheaper BOOM 2 and MEGABOOM are equipped with. 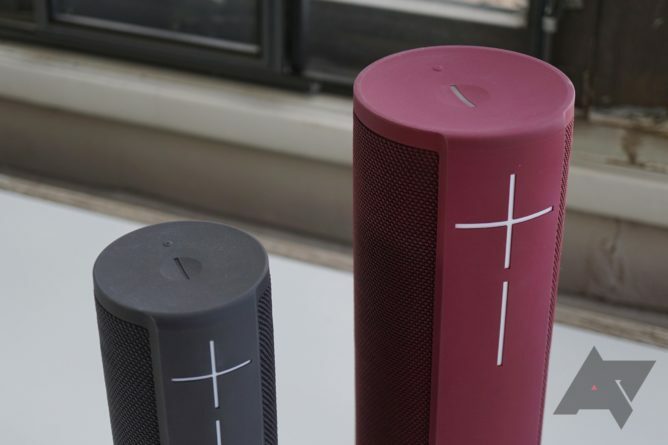 The BLAST and MEGABLAST are good speakers, but they're not markedly better than the BOOM 2 and MEGABOOM, and certainly not twice as good to justify the nearly-doubled price tags. 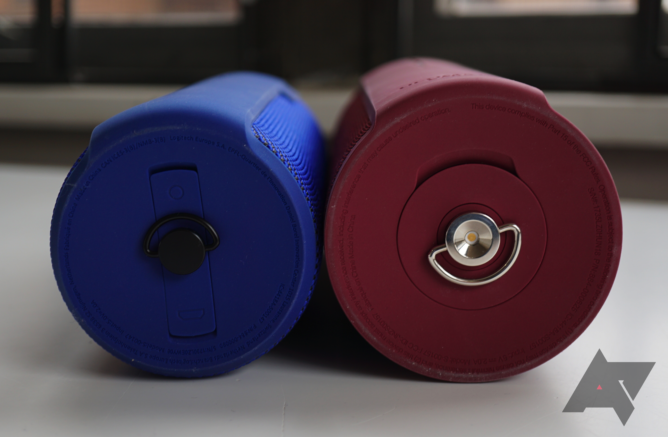 The BOOM 2 and MEGABOOM can regularly be found for around $120 and $180 brand-new, respectively, and often even less than that. Audio quality and volume get a slight boost with the BLAST lineup, but the older, downmarket BOOMs still sound just fine. I definitely don't think the minor bump in sound is worth the extra cash. If it were my money, I'd grab a BOOM 2 or a MEGABOOM and keep an extra hundred bucks or so in my pocket. If I had to choose between the BLAST and MEGABLAST, I'd definitely go with the latter. It's actually been discounted to $249.99 at publishing time by a few retailers, making it just $20 more than the BLAST. 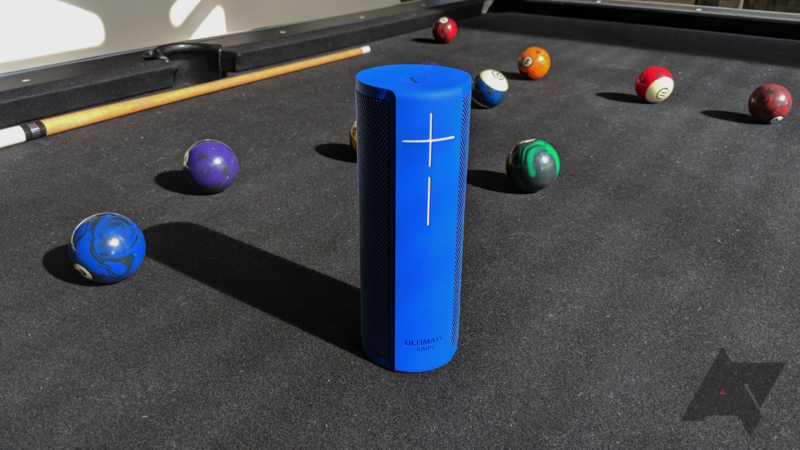 For that price, you'd have to be dumb to pick the BLAST over the MEGABLAST; you get higher-quality sound, more bass, and a longer battery life with the larger speaker. Even at the standard $70 extra, I'd still go for the MEGABLAST. I'd also suggest that you pick the POWER UP dock up, despite it being a bit overpriced at $40.